On the third Saturday of each month we hand out free bags of groceries to the community from the church parking lot. 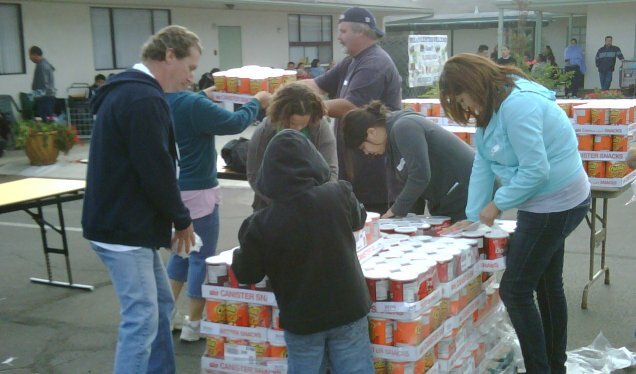 This is a ministry that we do in conjunction with Second Harvest. There are a couple of months when the date changes, so be sure to check the church calendar to be sure of the next event. Workers should arrive at 7:45 am. Food (along with tracts and opportunities to share your faith) will be distributed and you can expect to be done for the morning around 10:30am. To see a video of what it’s all about, click here.